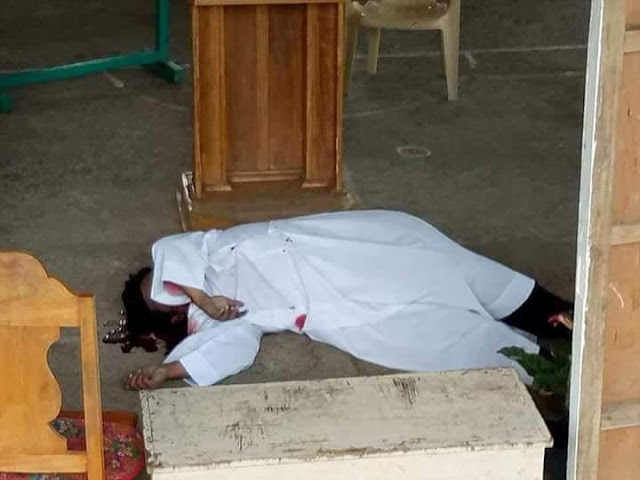 The Northernforum reports that a Catholic Missionary priest was shot dead after saying Mass. This occurred in the Philippines. 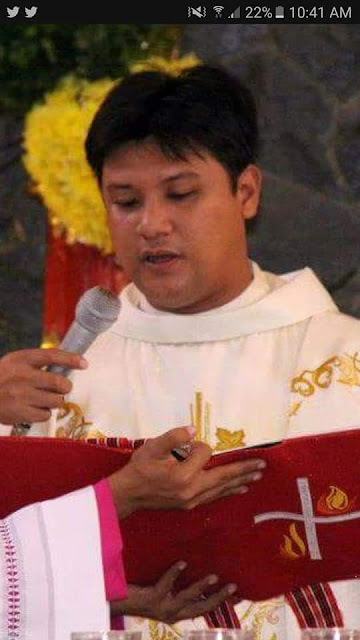 The killers shot the parish priest in Gattaran town in Cagayan on Sunday morning, April 29. In a report reaching Cagayan provincial police chief Senior Superintendent Warren Tolito, the victim was identified as Fr. Mark Anthony Yuaga Ventura, a resident of Barangay Naruangan in Tuao town. Initial investigations showed Ventura had just finished saying the Holy Mass in Barangay Piña Weste Gymnasium when a man in helmet walked near and shot him twice. He was proclaimed dead on the spot. Police also said he was currently blessing the children and talking to the choir members when the assailants killed him. “We just lost a young priest, zealous and dedicated, one who smelled like his sheep, to an assassin’s bullet right after he said Mass and was baptizing children,” Utleg said. The suspect, together with the driver of the single motorcycle, fled towards the highway going Baggao town, the report added. Police said motive has yet to determined. Ventura was serving as the parish of San Isidro Labrador Mission Station based in remote Barangay Mabuno, also in Gattaran. Sources said he chose to be assigned in remote barangays because he is a missionary priest. He also served as a rector at the St. Thomas Aquinas Major Seminary in Lyceum of Aparri. LORD!Stay mercifull to Your Children, WHO cannot survive without you. Eternal rest grant unto him O Lord and let perpetual light shine upon him. Please protect our priests Lord, Mother Mary pray for us. Amen. May Jesus Christ already be with him .Hoping he skipped purgatory and is with Jesus Christ now and forever. Rest in peace. May the saints welcome you. Rest in peace. May your soul be glorified as the saints welcome you. To the assassins may you seek forgiveness from God and the parish the priest was working or you'll perish in hell. Probable caused of slain, he was engaged in illicit affairs of 8 women & some of them are married to vice mayor, soldier, police and businessman. That's his fate of doing against his teachings.